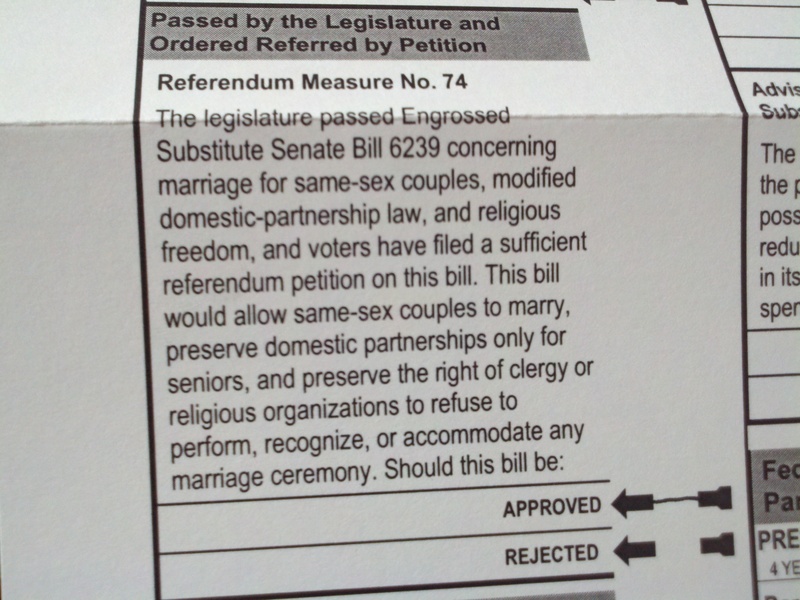 Washington State: Vote to Approve Referendum 74! Hey Washington! Your ballots are here! I’ve already voted to Approve R-74. Now it’s your turn. Let’s make the Evergreen State the first to vote to support marriage equality at the ballot box! Don’t let conservatives outlaw love. Approve Referendum 74 today! This entry was posted in Uncategorized by asexualityarchive. Bookmark the permalink.